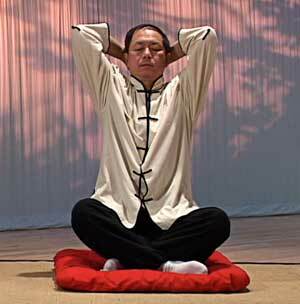 In order to understand qigong, you must first understand qi. Qi is the energy or natural force that fills the universe. There are three general types of qi. Heaven (the sky or universe) has heaven qi (tian qi, 天氣), which is made up of the forces that the heavenly bodies exert on the earth, such as sunshine, moonlight, and the moon's effect on the tides. The earth has earth qi (di qi, 地氣), which absorbs the heaven qi and is influenced by it. Humans have human qi (ren qi, 人氣), which is influenced by the other two. In ancient times, the Chinese believed that it was heaven qi that controlled the weather, climate, and natural disasters. When this qi or energy field loses its balance, it strives to rebalance itself. Then the wind must blow, rain must fall, and even tornadoes and hurricanes must happen in order for the heaven qi to reach a new energy balance. Heaven qi also affects human qi, and divination and astrology are attempts to explain this. You must understand that all natural things, including humans, grow within and are influenced by the natural cycles of heaven qi and earth qi. Since you are part of this nature (Dao, 道), you must understand heaven qi and earth qi. Then you will be able to adjust yourself, when necessary, to fit more smoothly into the natural cycle, and you will learn how to protect yourself from the negative influences in nature. 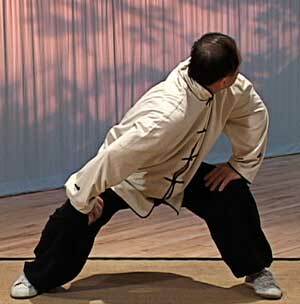 This is the major goal of qigong practice. From this, you can see that in order to have a long and healthy life, the first rule is that you must live in harmony with the cycles of nature and avoid and prevent the negative influences. The Chinese have researched nature for thousands of years. Some of the information on the patterns and cycles of nature has been recorded in books, one of which is the Book of Changes (Yi Jing, 易經). This book gives the average person formulas to trace when the season will change, when it will snow, when a farmer should plow or harvest. You must remember that nature is always repeating itself. If you observe carefully, you will be able to see many of these routine patterns and cycles caused by the rebalancing of the qi fields. Over thousands of years, the Chinese have researched the interrelationships of all things in nature, especially about human beings. From this experience, they have created various qigong exercises to help bring the body's qi circulation into harmony with nature's cycles. This helps to avoid illnesses caused by weather or seasonal changes. 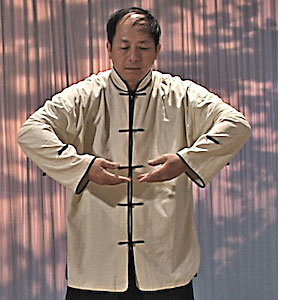 After a long period of research and study, the Chinese also discovered that through qigong practice they were able to strengthen their qi or internal energy circulation, and slow down the degeneration of the body, gaining not only health but also a longer life. The realization that such things were possible greatly spurred new research. You can see that qi is energy and is found in heaven, in the earth, and in every living thing. All of these different types of energy interact with each other and can convert into each other. In China, the word "gong" (功) is often used instead of "gongfu" (功夫), which means energy and time. Any study or training that requires a lot of energy and time to learn or to accomplish is called gongfu. The term can be applied to any special skill or study as long as it requires time, energy, and patience. 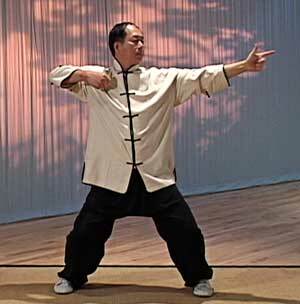 Therefore, the correct definition of qigong is any training or study dealing with qi that takes a long time and a lot of effort. Qi exists in everything. Since the range of qi is so vast, the Chinese have divided it into three categories, parallel to the three natural powers (san cai, 三才) of heaven, earth, and man. Generally speaking, heaven qi is the biggest and the most powerful. This heaven qi contains within it the earth qi, and within this heaven and earth qi lives humans, with their own qi. You can see from the accompanying diagram that human qi is part of heaven and earth qi. 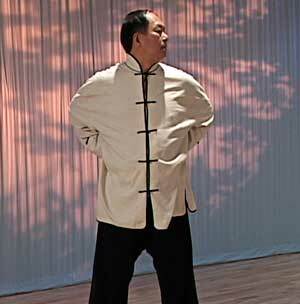 However, since the human beings who research qi are mainly interested in human qi, the term qigong is generally used to refer only to qi training for people. Many people have become proficient in the study of earth qi. They are called geomancy teachers (di li shi, 地理師) or wind water teachers (feng shui shi, 風水師). These experts use the accumulated body of geomantic knowledge and the Yi Jing to help people make important decisions, such as where and how to build a house or even where to locate a grave. This profession is still quite common in China. The Chinese people believe that human qi is affected and controlled by heaven qi and earth qi and that they in fact determine your destiny. Some people specialize in explaining these connections; they are called calculate life teachers (suan ming shi, 算命师) or fortune tellers. 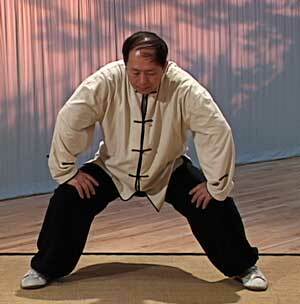 The above is from Simple Qigong Exercise for Health 2nd Ed. Rev. by Dr. Yang, Jwing-Ming. A newer edition of the book is available. The excerpt used here was taken from the YMAA site: ymaa.com. It was slightly modified to fit the style and format of Qi Encyclopedia.